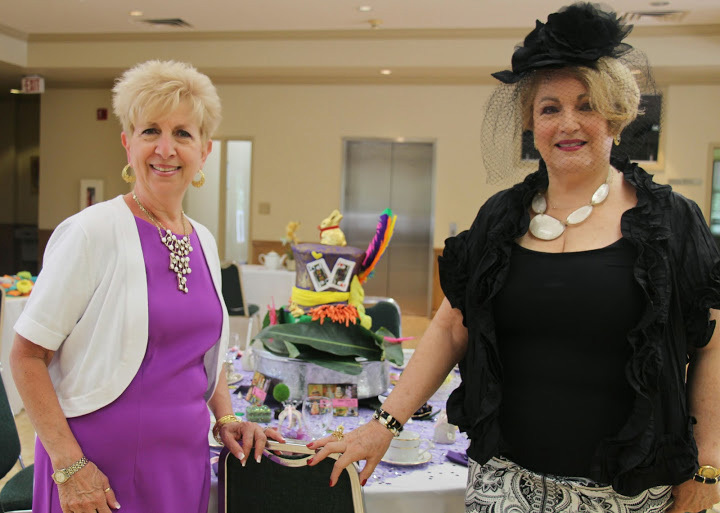 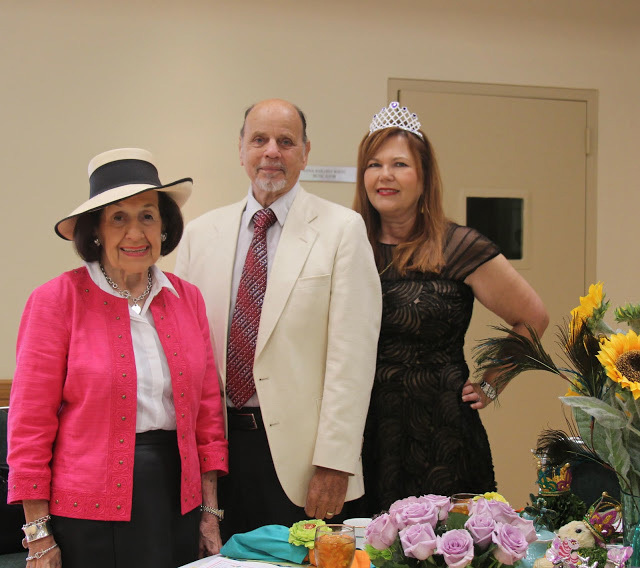 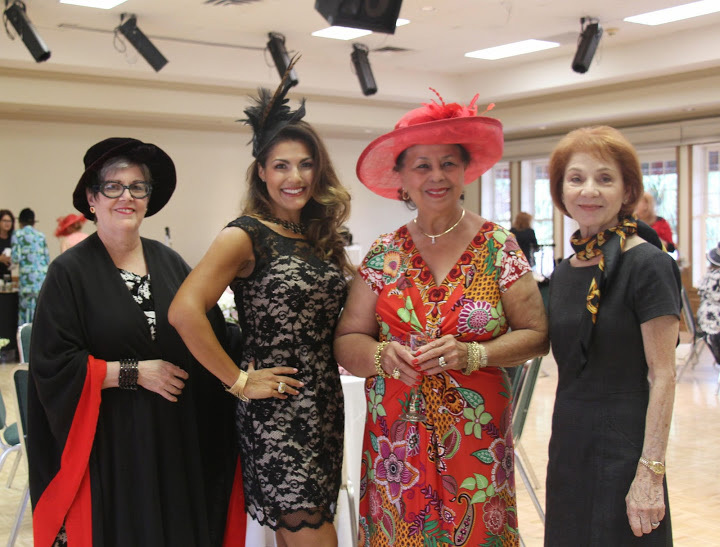 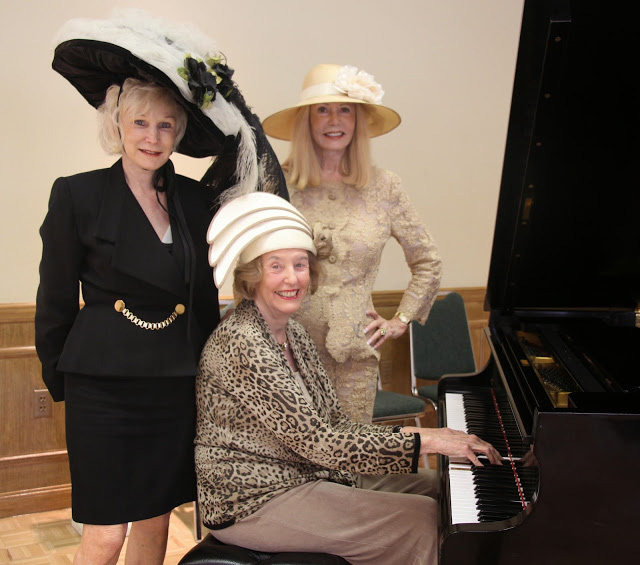 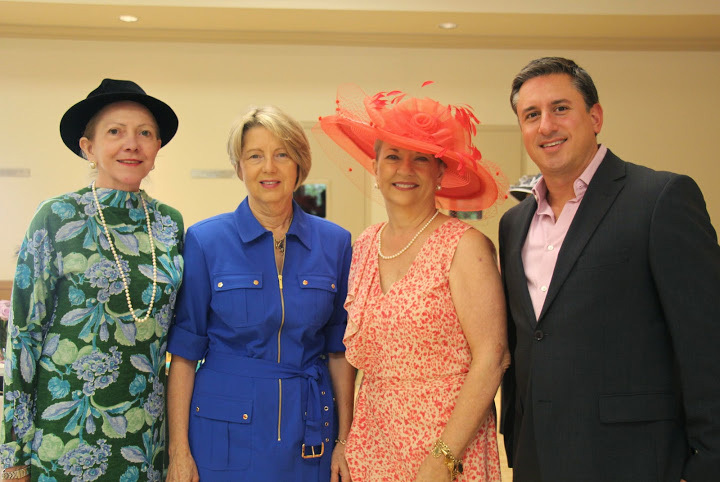 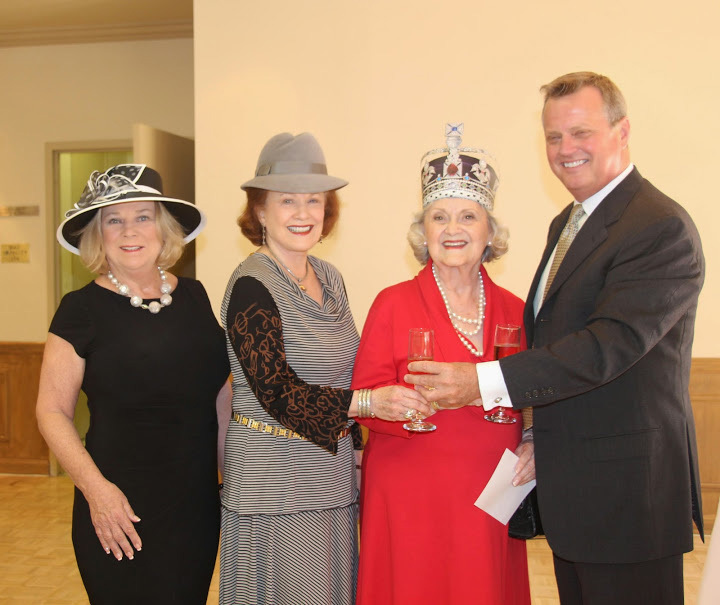 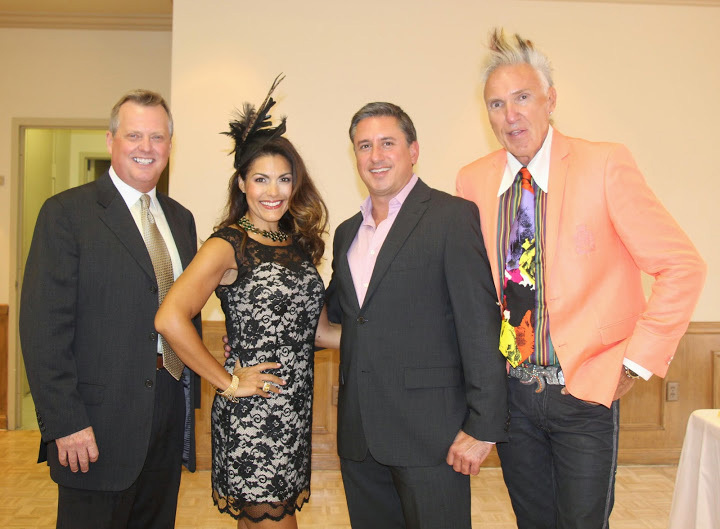 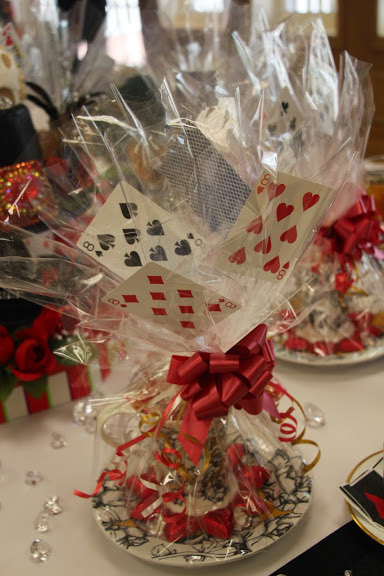 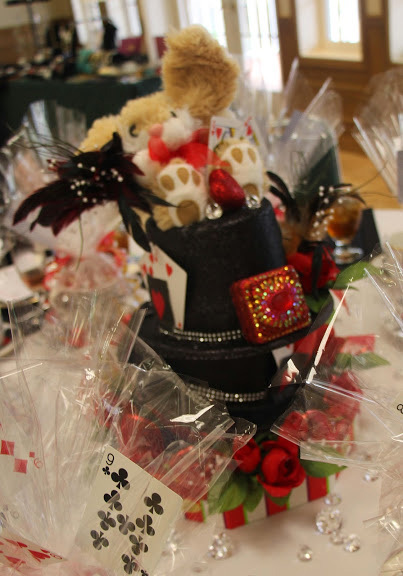 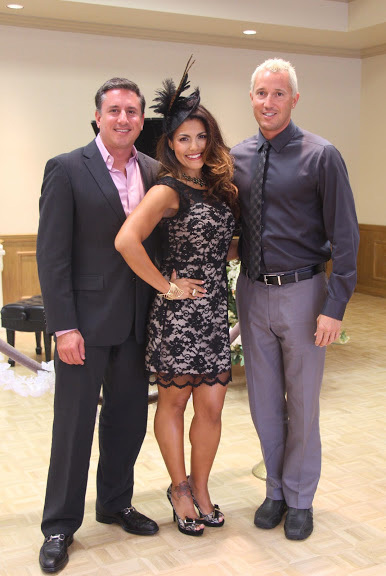 On Thursday, March 20, 2014 the Opera Society celebrated the first day of spring with the Mad Hatters Luncheon and Election of Officers for 2014-2015 in the grand ballroom of the Josephine S. Leiser Opera Center. 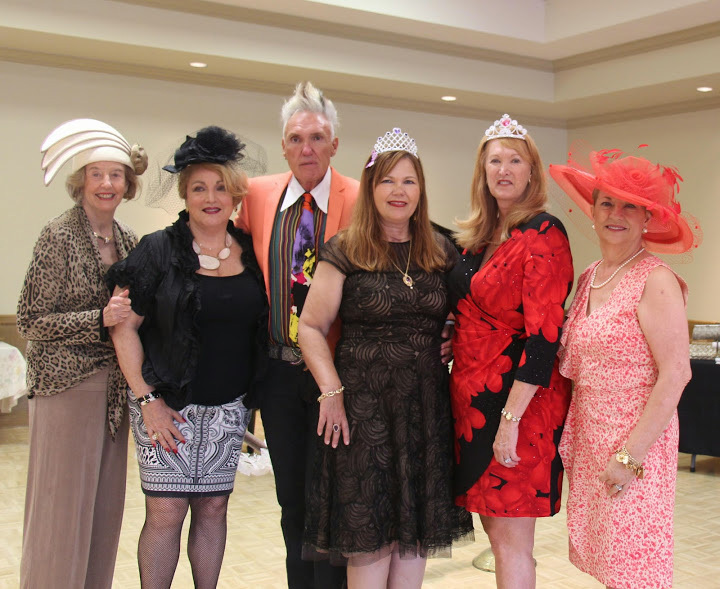 Thirty-eight guests donned their tea attire and maddest hats and were treated to a spectacular garden party straight from the pages of Lewis Carroll’s Alice’s Adventures in Wonderland. 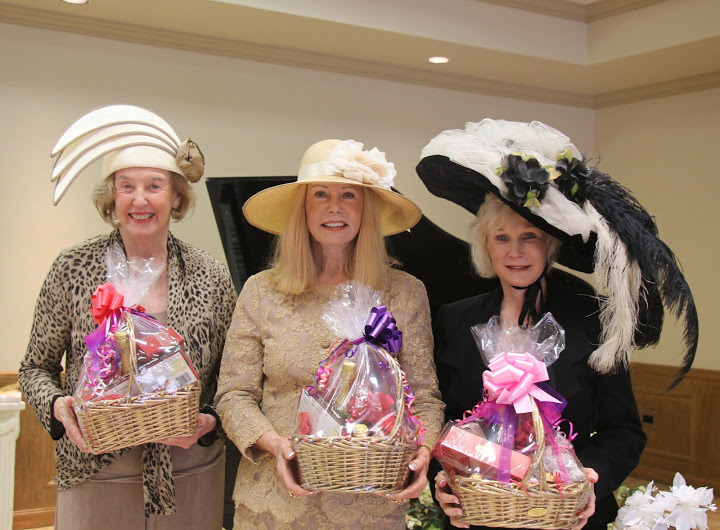 Guests were greeted with a beautiful display of jewelry and handbags by All Things Fabulous by Lisa Cooper and Collections by Maureen Jacobson as they sipped pink champagne with fruit and brie, and enjoyed the gifted Ann Rentoumis on piano. 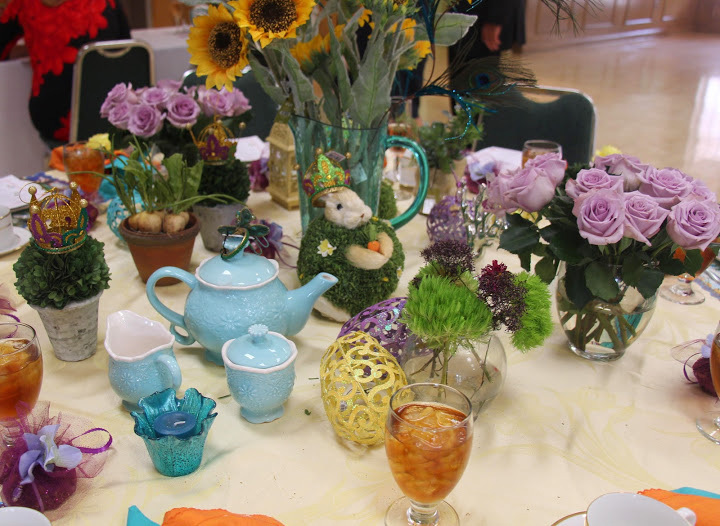 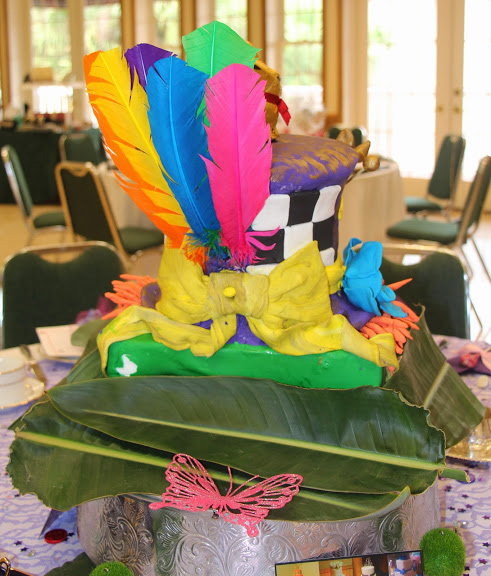 True to theme, the room was decorated as the Mad Hatters garden party. 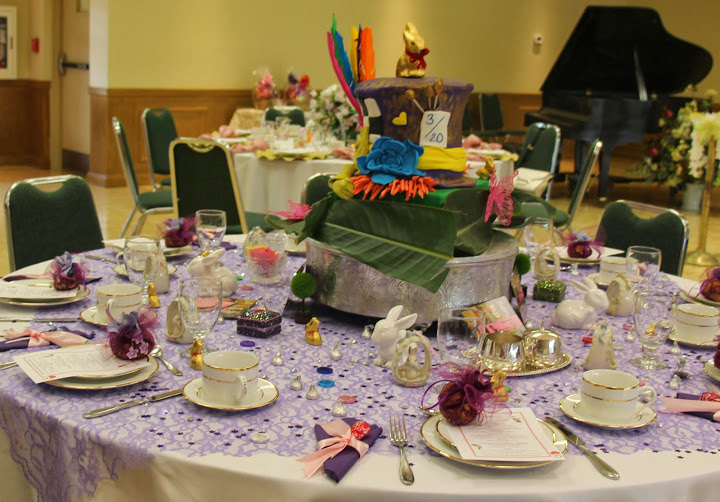 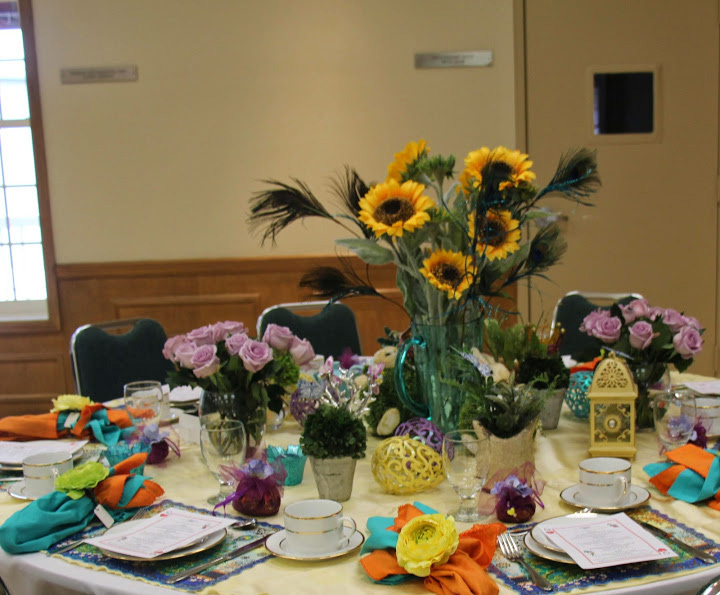 Each table setting was a unique creation, loving designed and all donated by committee members; Barbara Parent, John Kovacs, Lianette Marquez, Susan Cordes, and Helena Caplan. 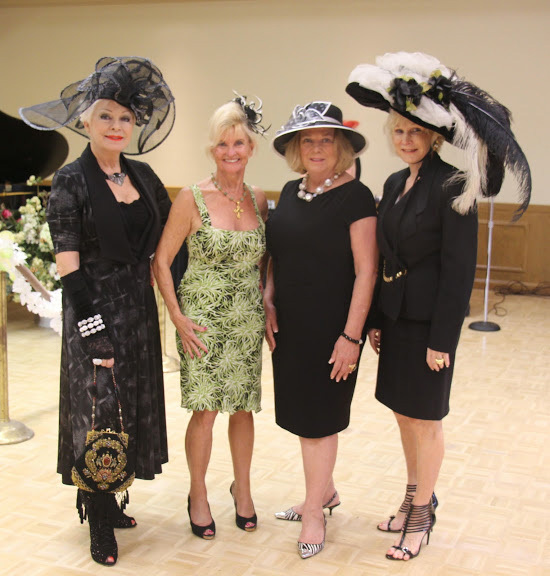 Hats off to all of you! 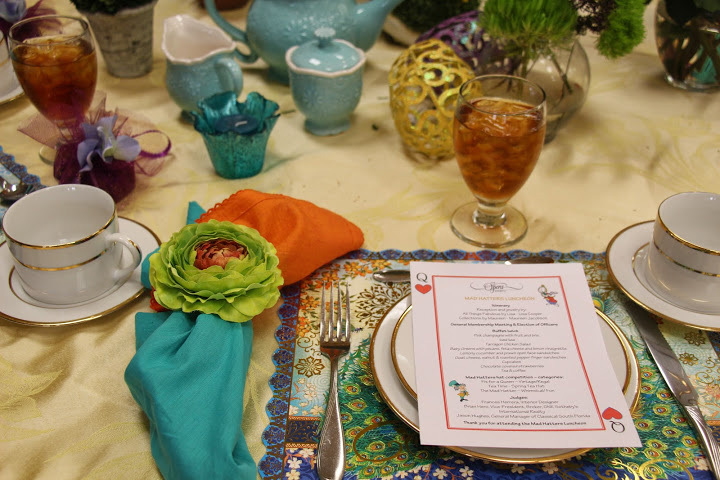 Kim Naimoli catered a magnificent lunch featuring: Tarragon Chicken Salad; Baby Greens with pecans, feta cheese and lemon vinaigrette; Lemony cucumber and prawn open face sandwiches; Goat cheese, walnut & roasted pepper finger sandwiches; Cupcakes, Chocolate covered strawberries and tea. 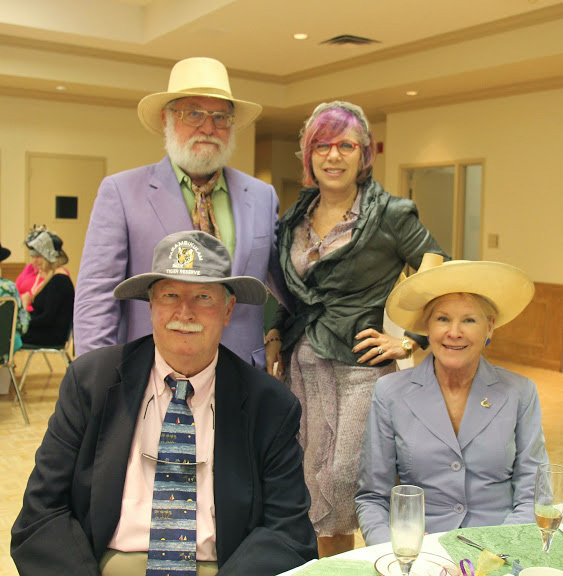 A delightful time was had by all. 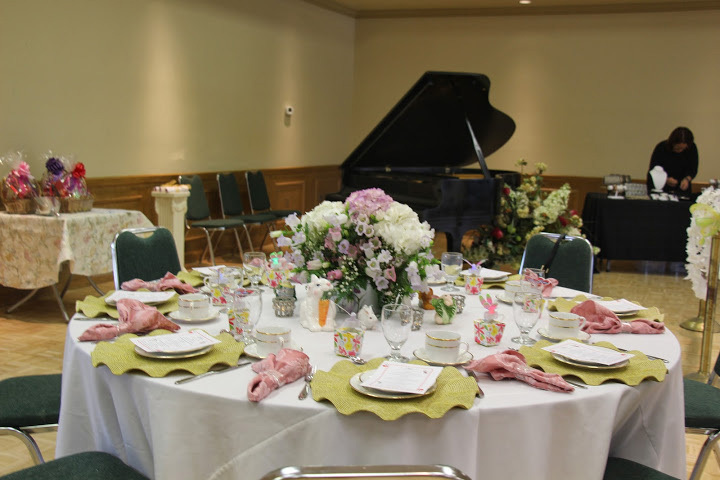 Special thanks to committee members Barbara Parent, John Kovacs, Helena Caplan, Susan, Cordes, Lianette Marquez, and William Riddle, and to Ann Rentoumis, our pianist and Kim Naimoli for catering the event. Enjoy the superb photos taken by Betty Young. 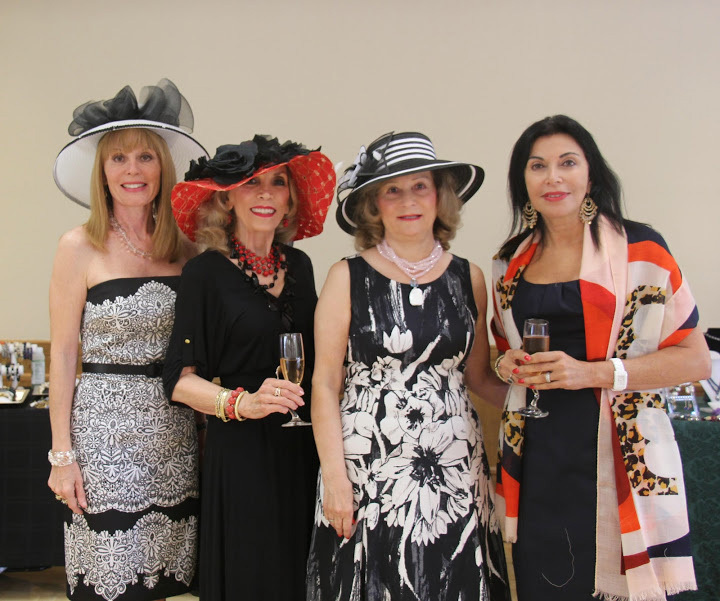 Next post: Roma di Notte at the Broward Center for the Performing Arts!